. This recipe is not overly sweet and has a splash of lime juice which gives the cookies a hint of tartness and lovely citrusy aroma. Super easy to make, you can whip up a batch of these tasty treats in no time at all. Enjoy! If you would like the cookies to be sweeter, add sugar instead of more condensed milk as more condensed milk will make the batter too wet. To make these gluten-free, substitute the all-purpose flour for coconut flour or rice flour. Use a cookie scoop or two spoons to drop the batter onto a lined cookie sheet. I use the Silpat baking mat. Optionally use parchment paper or grease the pan and the cookies will be easier to remove. Store cookies in an air-tight container or bag at room temperature for up to 1 week or in the refrigerator for up to 2 weeks. Watch for video below for instructions. Preheat the oven to 350 degree Fahrenheit. In a large bowl, combine the sweetened condensed milk, vanilla extract and lime juice and mix well. 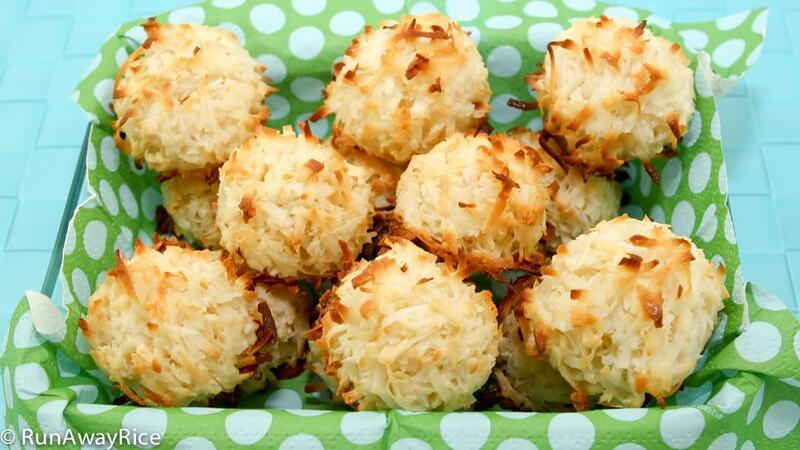 Add the coconut flakes and flour. Mix together combining well. Separate the eggs putting the egg whites into mixing bowl. Using a hand mixer, beat the egg whites on Low speed for 15 seconds or until foamy. Add the salt. Whip on Medium High speed until soft and fluffy, approximately 1 minute. Add half of the whipped egg whites to the coconut mixture and gently fold together. Add the remaining egg whites and fold together. Using a cookie scoop, drop small mounds of the batter onto a cookie sheet. Bake until golden, approximately 15-18 minutes. Remove and let cool for 5 minutes. Transfer to a wire rack and let cool for 30 minutes. 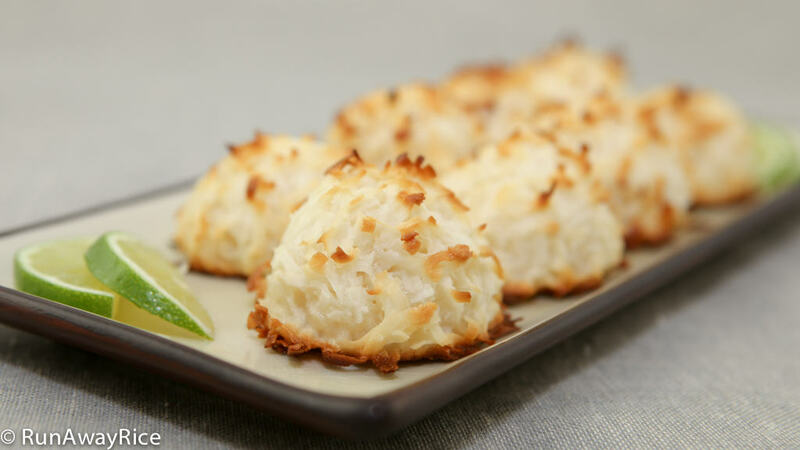 Check out this post on How to Prepare Fresh Coconut to use fresh coconut in this recipe. Can I use fine sugar instate of condensed milk cos my family don’t ….. How many grams or cup of fine sugar must I use? Replace the condensed milk with 1/4 cup sugar. Enjoy!